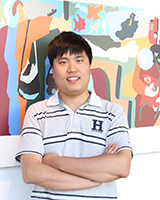 Yuliang Wang is a Research Assistant Professor in the Department of Computer Science & Engineering and a Core Faculty of the Institute for Stem Cell & Regenerative Medicine (ISCRM) at the University of Washington. Yuliang received his B.S. in Bioengineering from Tianjin University in China in 2009. He earned his Ph.D. in Chemical and Biomolecular Engineering and M.S. in Applied Statistics from the University of Illinois, Urbana-Champaign in 2013. He was a post-doctoral researcher at Sage Bionetworks, a private research institute for open biomedical research, in 2013-2014. In 2014-2016, he worked as a senior research associate in the Computational Biology Program in Oregon Health & Science University. He joined at UW CSE in summer 2016.